The Hobbit small stove is suitable for a wide range of applications and was designed by us especially to fit the small spaces and fireplaces where other stoves just will not fit. Our aim was to design and build a quality small stove with all of the essential features and attributes of top rated efficient large stoves. If however you live in a smoke control zone and want to burn wood as well as smokeless coal you will need the Hobbit SE, DEFRA APPROVED model. Both the standard and SE versions of our small stove are multi fuel. The legendary Hobbit stove by Salamander. Awesome 4kw stove as used by George Clarke on the Ch 4 ‘Amazing spaces’ program. 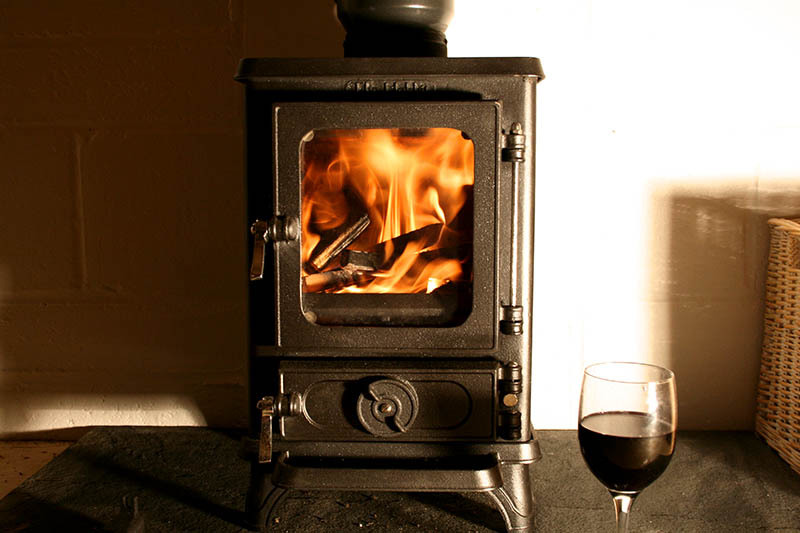 Cast iron construction this great multifuel stove is ideal for small rooms, outhouses, garden retreats, yurts, shepherds huts and any other small space! Perfect with a glass of red on a chilly evening. On display in our showroom now.